The Technique bosses are back to show us how it’s done. 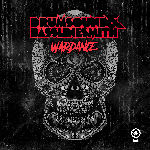 More prolific than ever, with releases on multiple labels in recent months, Drumsound & Bassline Smith have returned to their home turf with something brand new. Premiered on Friction’s Radio 1 show, now “Shutdown”’s been unleashed. It opens with the dark horns and meditative chimes of a horror soundtrack. And then we’re taken on a series of unexpected detours which serve to build anticipation even further. A discordant arpeggio filters in. Then, a blast of bass stamps its authority. This melds into a riser which is the final signal that the drop is nigh. We’ve already been taken on a journey by these morphs and shifts before the track even delivers its bassline and beat payload. The drop is dominated by that arpeggiated figure, now laid over a foundation of a poundingly-percussive bassline. This tune’s unrelentingly driving, and as a series of sixteen bar switch-ups keep the energy high, it’s only the system-glitch transition into the sparse and shadowy breakdown that will give the rave even a moment’s respite. There aren’t many who can test the longevity and workrate of the artists that make up Drumsound & Bassline Smith. And “Shutdown” is the most recent in a series of releases which prove that not many can test their sheer rave-wrecking abilities either.